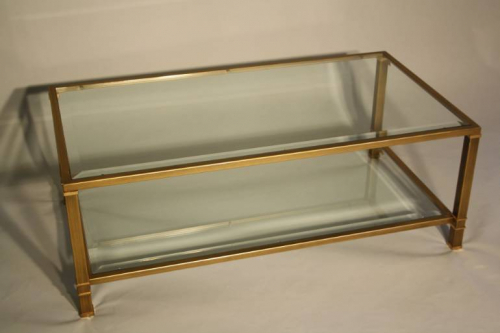 An elegant pale gold metal two tier table with bevelled glass shelves. In excellent condition. French c1970.